Ralph Northam breaks the Internet: As you read this, he may no longer be governor of Virginia, owing to a 35-year-old yearbook snapshot showing him in blackface or Ku Klux Klan attire – maybe. Last week, any other politician in America who thought he or she was having an awful week professionally was interrupted by Virginia Gov. Ralph Northam exclaiming, “Hold my beer!” No sooner had Northam essentially endorsed infanticide – strike one – when a 1984 photograph of him from his medical school yearbook surfaced showing him either wearing blackface or dressed in full Ku Klux Klan regalia of robe and hood – strike two. A subsequent press conference to address the yearbook photo controversy can only be described as a crime against public relations – strike three. The sequence of events is off-putting, to say the least, especially the part about a discussion regarding the life or death of a born-alive baby. No amount of spin renders what Northam said any less disturbing. Things only got worse for Northam on Feb. 1 when an embarrassing yearbook photo from his time at the Eastern Virginia Medical School went public. The 35-year-old image ostensibly showed Northam and a friend together, with one in blackface and the other in KKK garb. 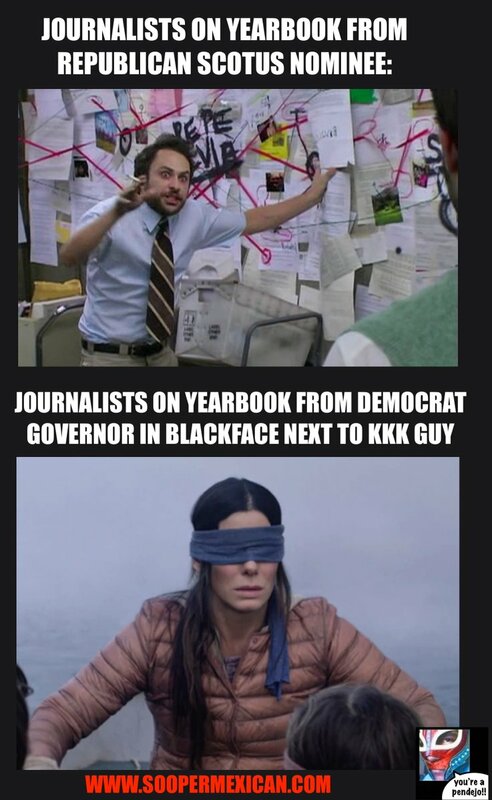 Northam admitted he was in the picture, without specifying whether he was the one in blackface or the KKK attire. A Feb. 2 press conference at the governor’s mansion to address the scandal saw Northam hit rock bottom and start digging. In a display of backpedaling on steroids and despite his earlier admission, Northam claimed he was not in the racist 1984 yearbook photo. He did, however, acknowledge darkening his face on another occasion that same year when he dressed as Michael Jackson as part of a talent contest. Bizarrely, Northam contemplated performing Jackson’s signature moonwalk dance at the press conference. Really. How disturbing is it that a 35-year-old racist photo is more contentious than infanticide? How did the media, which lives for stuff like this, fail to unearth the humiliating photo in question until now? For that matter, how did the opposition research team for Ed Gillespie, Northam’s GOP opponent in the 2017 gubernatorial election, fail to dig up said photo? Now that you’re at the end of this article, is Ralph “Goose” Northam still governor of Virginia? The photo shows one person in blackface and another in a KKK outfit.